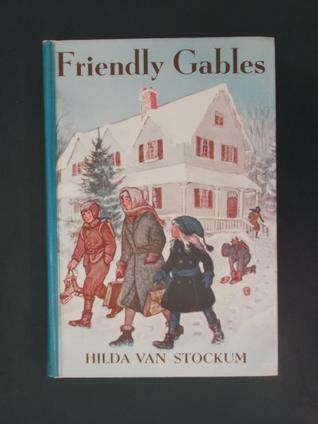 In the third and final book about the Mitchells, the family has moved to Friendly Gables, the new home they finally find at the end of Canadian Summer, and Mother has just given birth to twins. (There are no real-life counterparts for the twins as there are for the other Mitchell children.) While she recovers from childbirth, the children are subject to the rules and expectations of her nurse, Miss Thorpe. When they realize they cannot please her, the children, excluding Joan who suddenly seems like an adult herself, create a secret attic hideout called Homework, where they go to avoid being scolded. This book is the strongest of the three Mitchells titles, possibly because it is the only book where the family bands together against an immediate outside enemy, as opposed to a larger problem, like a war, or having to rough it in rural Canada. The earlier stories involved many conflicts and difficulties, of course, but they usually presented themselves in a more episodic manner, where each chapter had a problem and resolution unto itself. This book held together better as a novel, and it really gave each of the children the chance to respond to their new family circumstances in a way that is unique to their individual personalities. I felt as though each character became more real to me in this book than in the two previous, and that the overall family dynamic came fully to life. This is a series that I very much hope will be favorites of my own children when they are of school age. The books foster a value system that I hope to develop in my family, and it depicts siblings as people who love and look out for one another, and not as annoying problems to be overcome or circumvented. While I have always felt a kinship with Mother, especially in the second book, I felt much more strongly for the children in this book, which is probably how it ought to be.